The Bio Smart line is a sleek new solution for ageing skin. I don't normally gush because everyone is different, but this line works beautifully for me. After only a couple of weeks, I have already seen noticeable results. My lines and wrinkles have actually become less evident! Also I am thrilled to see that the tone around the chin and lower cheeks has improved. There is less sag, and a much firmer look to my whole face. 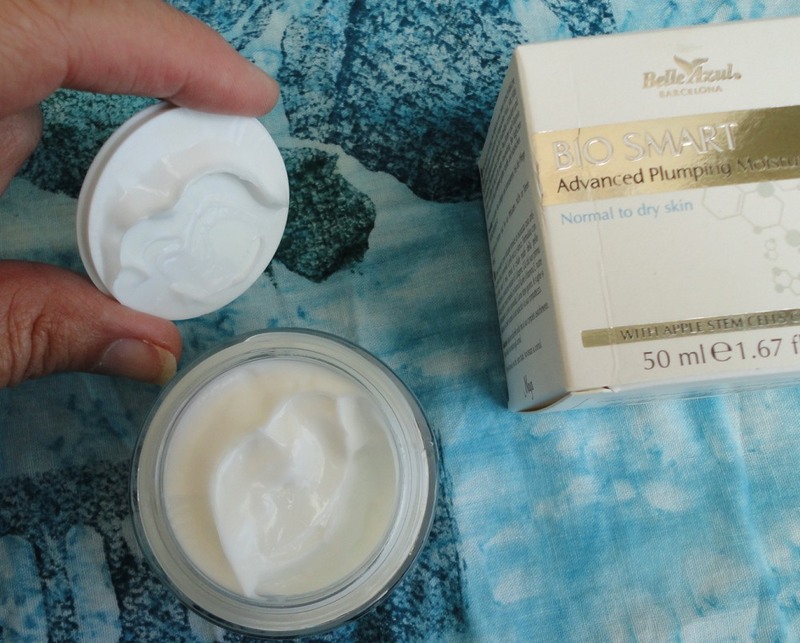 I was looking for new day and night creams to deal with established wrinkles, and this new line from Belle Azul interested me as it is designed for mature skin (50s and 60s). The four products include a day cream, night cream, eye gel and a general plumping moisturizer to be used whenever (day or night). Don't be nervous about the Botox-like effect. It does not freeze your face, the only difference I've noticed is that my wrinkles look less evident. This day cream is a lot denser and richer than some others I have tried. 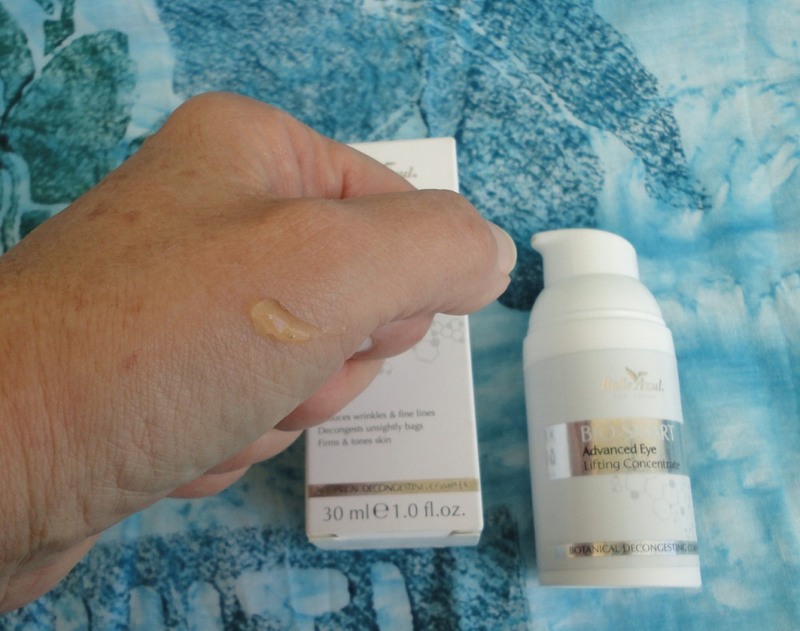 In texture it is very like the night cream, but is absorbed a little faster. Sometimes I even layer it with the plumping treatment or, if I'm wearing makeup, I use it under a BB cream. My skin can turn shiny with some products, but not this one. These products are not tested on animals, and contain no parabens or phtalates. The main active ingredient is an Apple Stem Cells complex but there is also the classic anti-ageing combo of Collagen and Hyluronic Acid. Very mild on my irritable skin and has a soothing effect. The glass jar with a silver screw-top holds 50 ml. It looks elegant in my bathroom and I also love the fresh, flowery perfume. This night cream is rich, silky and quite thick, but it is absorbed extremely well. I use it after cleansing and washing my face at night and by the time I go to bed, there is no visible trace. Some creams look shiny and heavy, this one disappears. If my skin feels particularly dry, I use the night cream over the plumping treatment. The two work well together. The main ingredients are natural and very soothing: olive oil, shea butter, sacha ichi oil (I had to look it up, it's a kind of nut extremely rich in Omega-3 fatty acids). The active ingredient is an Apple Stem Cells complex which is supposed to enhance natural collagen production. My skin has become fragile with age and can react to certain face products, but this cream has not caused any sensitivity. The glass jar with a silver screw-top looks small but contains a standard 50 ml. It will last me well over a month at this rate. I have to mention the perfume: it is delicious, like jasmine, sweet and flower-fresh but not sickly. I love this product. This eye gel has a fresh, light texture, it's absorbed very quickly and leaves no film to interfere with makeup. I find that it has an immediate decongestant effect on the bags under my eyes and even on my eyelids. It has improved the appearance of dark circles, although my ongoing problem there is lack of sufficient sleep. As far as eye products go, it's terrific. 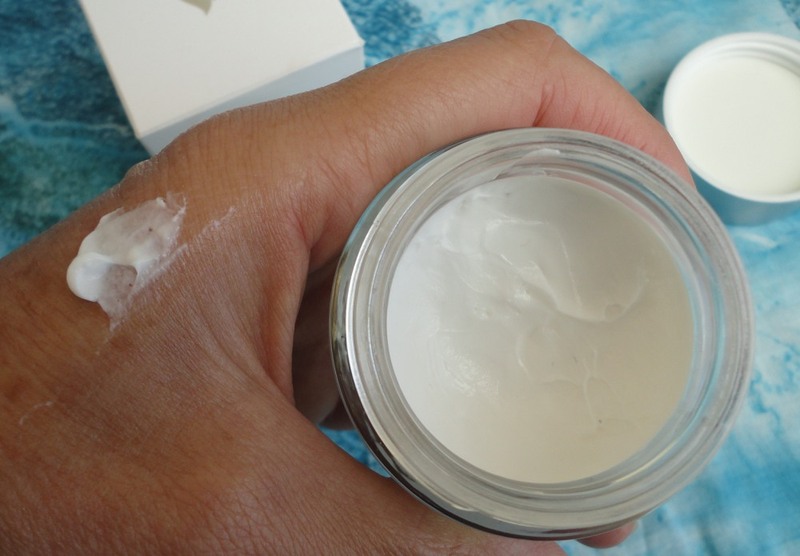 I often layer a moisturizing cream over it because my skin is very dry and my wrinkles need a lot of help. Absolutely non-irritating and refreshing on contact. 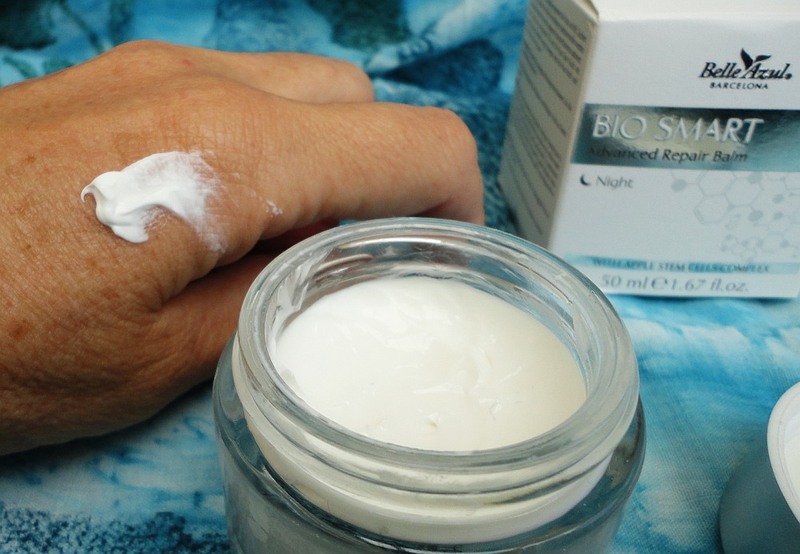 It's part of the new Bio Smart line, designed for mature skin. The main active ingredient is an Apple Stem Cells complex which is said to enhance natural collagen production. I think using all four products in combination gives the best results and, at the current prices, the whole collection costs as much as one big-name jar of anti-ageing cream. The container has an airless pump delivery system, the most hygienic in my opinion, for this type of product. The quantity is a standard 30 ml. Based on my use after a month, it looks like it will last me a full two months. My husband has been using it as well, and appreciates the light texture and subtle scent that just smells fresh.Excellent eye product for skin of all ages. I have a tendency to open pores and shine over the T-area. Since using this cream (and the rest of the line), my pores have tightened. What I notice also is that the products are very easily absorbed and don't leave an oily residue. The texture is quite dense but it just melts and disappears with a little massage. If my skin feels particularly dry, I layer this cream with the day or night one, as appropriate. They work well together. It makes a beautiful base for make-up and foundation, or else I use a BB cream for light coverage (there is a great one by the same brand). The main ingredients are natural and very soothing: shea butter, Vitamin C (in the rose hip oil), Vitamin E, and the active ingredient is an Apple Stem Cell complex, which is said to enhance natural collagen production. Whatever it is, my skin loves it, and I have not had any allergic reactions or sensitivity issues. The perfume is delicious, fresh and herbal/flowery but not overly sweet. The jar is clear glass with a silver screw-on top. The containers look good in my bathroom. The contents (a standard amount of 50 ml) have lasted me well, probably two full months or more by the looks of it. An effective, top-quality product which remains very affordable.